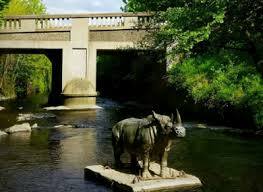 Come to the AGM and see the mysterious rhino in the River Dodder beside the Dropping Well! 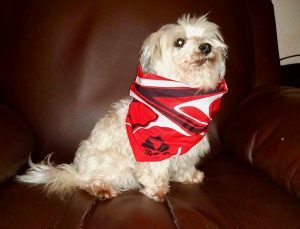 The new 3ROC wuff (sorry, that should be buff) modelled by Poppy. AGM Reminder: A final reminder that the 44th 3ROC Annual General Meeting is on Friday 5th April at the Dropping Well in Milltown at 7.30 pm or shortly thereafter. 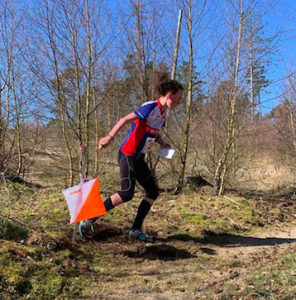 In addition to the usual AGM reports and elections we’ll be presenting the club grants for our international athletes for 2018, we’ll have a selection of club orienteering gear for you to try or to buy (O-suits, running jackets, O-legs, club hats, fleeces and the brand new 3ROC buffs). We’ll also have some finger-food after the meeting and the organisers of our Pine Forest event on March 14th, Kevin and Una, will be taking offers of help from all the willing volunteers. 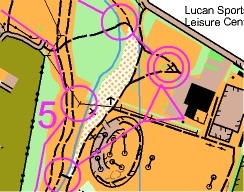 John McC will also be taking names for Irish Championships relay teams – your last chance! 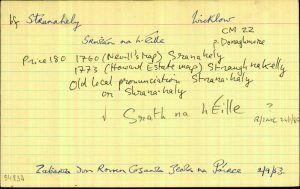 Stranahely record card from the Irish place names database, Logainm.ie. Running training is back in Belfield on Monday and Thursday evenings. Membership: In the meantime, you can join 3ROC or renew your membership online here. Everyone is welcome! Club members get discounted entry fees at most events, it’s easier to arrange transport to events if you don’t have your own, and you learn new skills, make friends and get fit! What’s not to like? Portadown urban event with a small maze towards the finish. 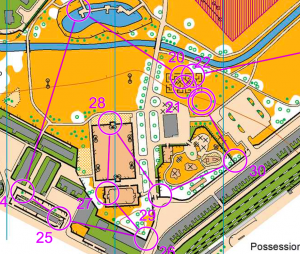 The first of the Armagh urban events was in Portadown last Sunday and looks like it was a lot of fun – see the final few controls of the Open course on the left. You can see the map and all the courses on Routegadget here. Nobody travelled up from the south, but maybe for the next one on May 19th? 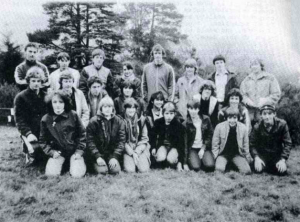 From the archives: The Irish Junior team at the Ireland/Scotland/England/Wales international at the Leinster 2-Day at Glendalough in 1983. 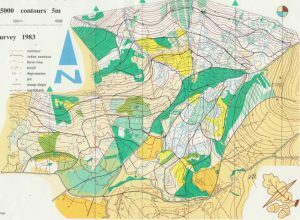 See the article on page 6 of the Irish Orienteer (No 9, January 1984) archives here.